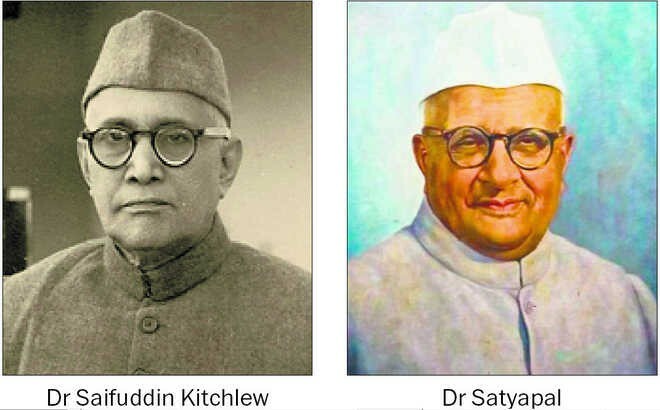 Saifuddin Kitchlew and Satyapal had not only shaken the foundation of the British colonial rule in India but amplified the threat by strengthening the Hindu-Muslim bonhomie. As India remembers 1,500 people who laid down their lives 100 years back at Jallianwala Bagh in Punjab on the day when Punjabi new year Baisakhi was being celebrated, the pages of history have somehow missed an important chapter on why the gathering was organised in the first place. There are a few versions stating that the people were celebrating the festival of Baisakhi. But there is solid evidence that the reason for the gathering was to protest against the arrest of two tall political leaders of Punjab - Saifuddin Kitchlew and Satyapal. Both Kitchlew and Satyapal had not only shaken the foundation of the British colonial rule in India but amplified the threat by strengthening the Hindu-Muslim bonhomie. It was in 1919 that India had emerged strongly in response to repeated attempts by the Britishers to divide and rule the country particularly on the basis of religion. There were leaders like Mahatma Gandhi and Mohammad Ali Jinnah who unequivocally had resisted any such attempts to break the nation. In Punjab, it was due to the strong impact of Kitchlew and Satyapal that Muslims and Hindus were a close-knit society and threatened the British foundation in the country. The legend has it that this was the time when a Muslim and a Hindu man would even drink from the same cup. The British clearly sensed the danger and arrested both Kitchlew and Satyapal. To protest against the arrest of these tall leaders, a mass gathering was held at Jallianwala Bagh which did not go down well with the British Indian Army under the command of Colonel Reginald Dyer. 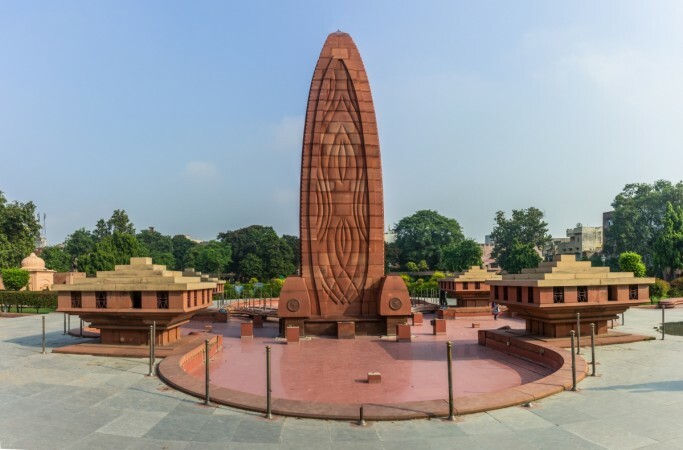 With nearly 90 soldiers, he arrived at the Jallianwala Bagh at 4 pm on April 13, 1919, and ordered 50 of his cops to fire 1,650 rounds at the unarmed civilians. There is a heart-wrenching account of a survivor of the massacre which states that some people attempted to escape the bullets by jumping into the well. Dyer is said to have also ordered his soldiers to fire inside the well. Why did India forget its freedom fighters ? History books are replete with the accounts and details of Jallianwala Bagh massacre but there is not enough mention of the lives that Kitchlew and Satyapal, who had publicly said that it was due to their arrests that the massacre ocurred in the first place. Kitchlew belonged to a upper class Kashmiri business family that migrated to Punjab in the 19th century. He had opted to attain his post doctoral degree and was believed to be close to Jawaharlal Nehru. After being released from the prison, Kitchlew stayed attached to his roots in India and refused to move to Pakistan at the time of partition. However, post-independence, when communal riots broke out in the region, Kitchlew was forced to shift to Delhi, leaving behind a house in Amritsar which was also burned down in the riots. Kitchlew and his family went into abject poverty later on but he still managed to keep the love for the nation alive in his heart. Satyapal, on the other hand, became the speaker of the Punjab Vidhan Sabha post his release from the jail. A doctor by profession, Satyapal joined Congress and led an active part in the freedom movement. He was also believed to be vocal about the differences within the party.